Ending the criminalisation of children in residential care. Briefing three. Children in children’s homes are being criminalised at excessively high rates compared to other children. The structure of the children’s homes ‘market’ in England means that ultimate responsibility for tackling this problem lies with the large private companies who own the majority of homes and with local authorities who are the corporate parents. 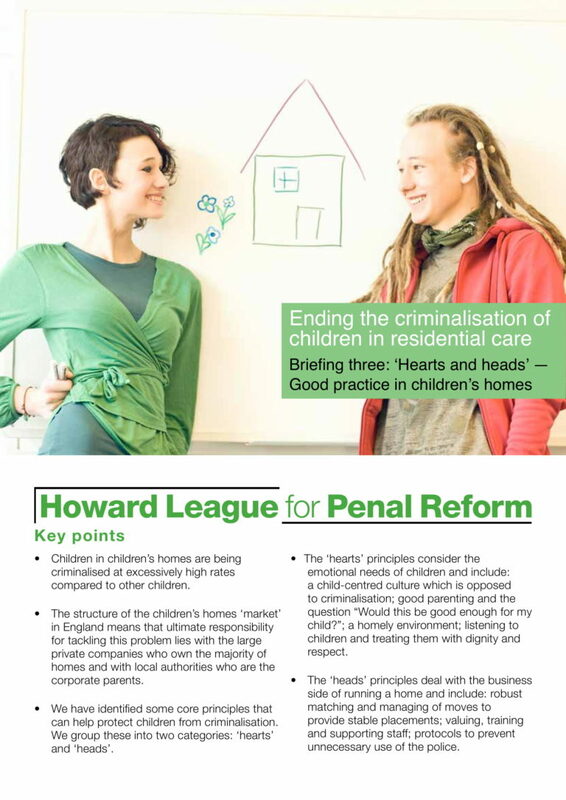 The Howard League has identified some core principles that can help protect children from criminalisation. These principles are grouped into two categories: ‘hearts’ and ‘heads’.